London is expensive - if you've only got a short time here then it's best to do some careful planning - either using our itinerary page for walks that connect major sights (and some amazing minor ones), our planning page, for grouping nearby attractions together, or this page where we attempt to make recommendations for visits of certain lengths. If you have only one day in London: We are aware that not all things please all people so we've done two schedules: one for people who's main aim is to see Buckingham Palace, Madame Tussauds and The London Dungeon - your guide is below. However if you're a culture vulture you'll probably want to avoid the crowds, in which case look HERE. We're assuming good weather - see our rainy day page for when the clouds are emptying over the city. A weekend in London A week in London. ONE DAY IN LO NDON: If you've the money (it can prove quite expensive) do a hop-on hop-off double-decker bus tour (it'll pass the main sights and as soon as you get to something you like, hop off, then rejoin the tour until you get to the next one...), however the cost can be prohibitive - in which case buy a one day travelcard Zones 1 + 2 (about £6 per person - if you're in London for any longer, buy an Oystercard, see Transport page for details) at any tube or rail station, or at some newsagents, and take the bus everywhere, always sitting on the top deck. Avoid travelling in the rush hours 07:30-09:30 & 17:00-18:30. 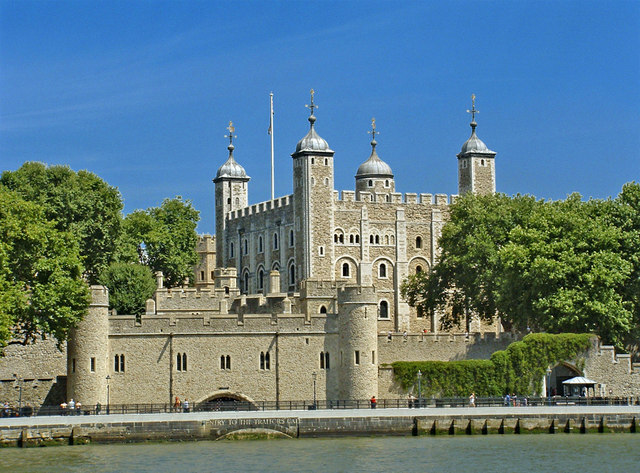 Start at the Tower of London [Open summer 0900-1700, winter until 1600], which you should visit as soon as it opens to avoid the monstrous queues (if you ask at the tube station you should be able to buy a combined entrance ticket for the tower and travelcard. We'd advise crossing Tower Bridge (don't bother to go inside - the best photos are from the approach, the frontage of the ugly thistle hotel or from halfway across London Bridge) and have a quick look at the docks on the other side (see our walk one) and follow the walk as far along the south bank as Westminster Bridge, and visit Westminster Abbey. On the way you'll see the Shakespeare's Globe, the Tate Modern (you can do it in 30 minutes - worth at least looking inside), the London Eye (takes an hour - you may not have the time), Somerset House, The Houses of Parliament, St Paul's and the city skyline on the way. If you want a shortcut the Jubilee line runs from London Bridge (just next to the London Dungeon) to Westminster station. From Westminster Station take bus #3, 12, 88 or 159 up to Oxford Circus - you'll pass 10 Downing Street, Horseguards, Trafalgar Square, Piccadilly Circus and Regent Street on the way (hop off/on at will) - and take the Bakerloo Line of the Tube to Baker Street for Madame Tussaud's, [ Open 0900-17:30 Summer, from 1000 in winter] the Planetarium and Sherlock Holmes territory. Once you're done up here take a #2 from Baker St (the terminus is Marylebone St Station which may be easier)or #82 bus back down past Marble Arch, Park Lane (Hyde park) through Belgravia to the Royal Mews (ask the conductor). 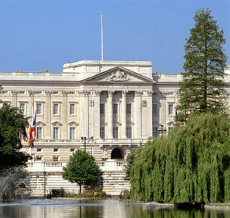 This is at the back of Buckingham Palace and it's a quick walk round to the front. The Changing of the Guard takes place at about 11am. As you might have guessed this day schedule is a loop and you can join at any point so as long as you're at Buckingham Palace by 11:15 (at the latest) you're OK. In which case start out your day at Madame Tussaud's. When you get to St Pauls you can either take a #15 bus or a Circle line tube to the Tower. The Queen's Life Guard changes daily (Monday to Saturday at 1100 hours and 1000 hours on Sundays) at Horse Guards, Whitehall and alternates between The Life Guards and The Blues and Royals except for one month in late summer when The King's Troop Royal Horse Artillery takes over from the Household Cavalry Mounted Regiment. To see this walk up from Parliament square (or take any bus up Whitehall) to Horseguards. 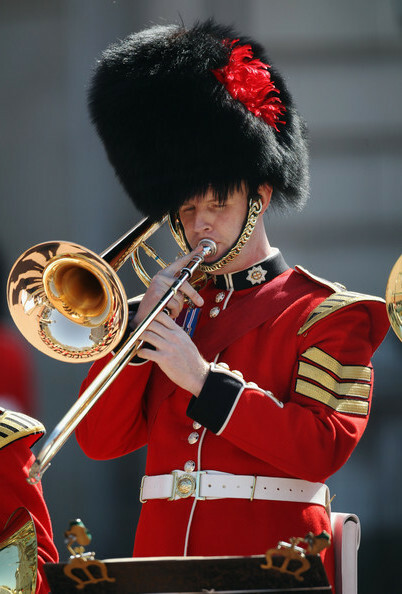 The Changing of the Guard at Buckingham Palace takes place at 1130 hours on alternate days from August to April and daily in all other months. It doesn't happen in very wet weather & on certain Ceremonial Days - you'll need to get there early to get a good place. See the Army's Website for full details of this and other ceremonials. Once you've seen Buck House/The Changing of the Guard then walk up the Mall and take the first left at the traffic lights to get to St James' Palace. There you can get a good photo of yourself next to a Sentry in full costume, including Busbee - unless you're unlucky and it's the Ghurka regiment on duty.... They change the guards here in a minor ceremony at about 16:00 - though it's a bit irregular. Walk up St James to Piccadilly and jump on a number 9 bus which'll take you to the National Gallery - but it's not far to walk back down Piccadilly, through Leicester Square (if you fancy a show now's the time to get tickets, preferably from the TKTS - formerly the official half price ticket booth - in Leicester Square itself) then and down to the National Gallery which is 200 metres south of Leicester Square, overlooking Trafalgar square. 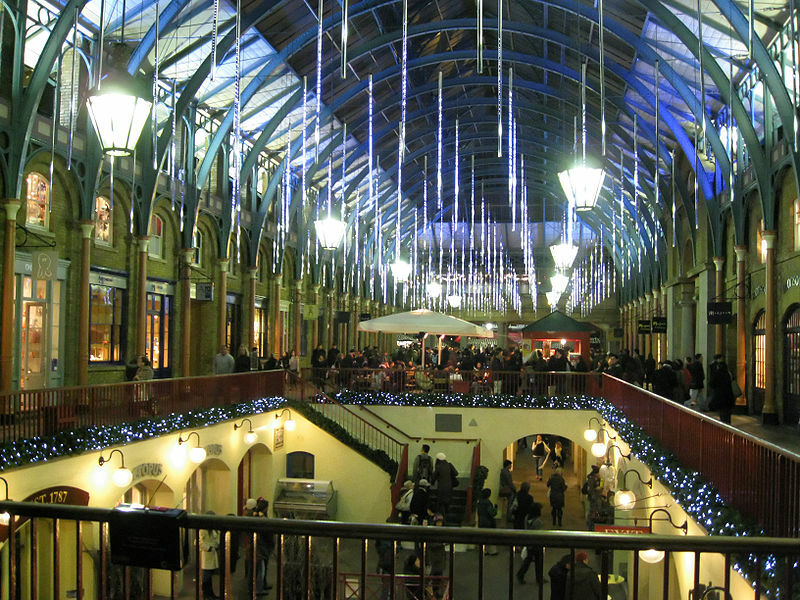 Just east of Leicester Sq is Covent Garden, which is best explored at about 17:30 pm - 18:30pm. Better are Soho and Chinatown - north of Leicester Square. Or alternatively, follow Shaftsbury Avenue all the way up (away from the theatres) up to the British Museum (or take a #24 or 29 bus up to Great Russell St) for a quick look at the African, Egyptian and Babylonian galleries and the Great Court. 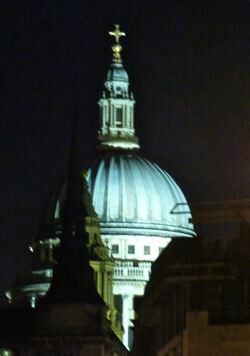 We think St Paul's is best viewed when floodlit, in which case take a #11 or 15 bus from the Strand or Trafalgar Square to see it at night. 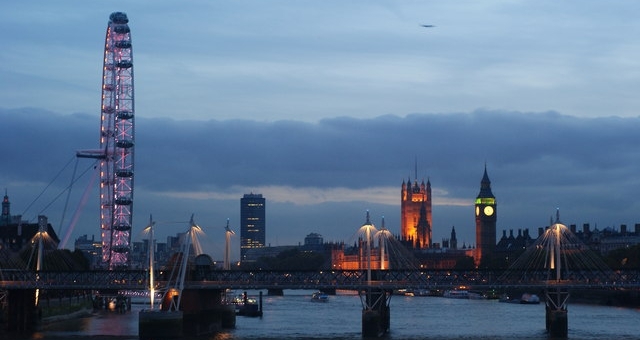 It's been a full day - but you've seen the best of London - congratulations! Points to watch out for: As our route is a circuit you can start off either at the Tower if you want to avoid queues and the crush or at Madame Tussaud's if you don't mind crowds and want to see the Changing of the Guard, when it's on. Remember Mme Tussauds closes at 17:30 and the Tower at 17:00 (16:00 in winter) so plan your trip accordingly. Buy a One day travelcard Zones 1 + 2 (about £6 per person if you're in London for any longer, buy an Oystercard, see Transport page for details) at any tube or rail station, or at some newsagents, and take the bus everywhere, always sitting on the top deck. Avoid travelling in the rush hours 07:30-09:30 & 17:00-18:30. We recommend you too start at The Tower (see above) and follow our walk one past the Tate Modern - but you might want to pop in and look around - you'll also want to look at Shakespeare's Globe (and perhaps in Summer buy a ticket for an evening performance Summer only -- from £5 standing). 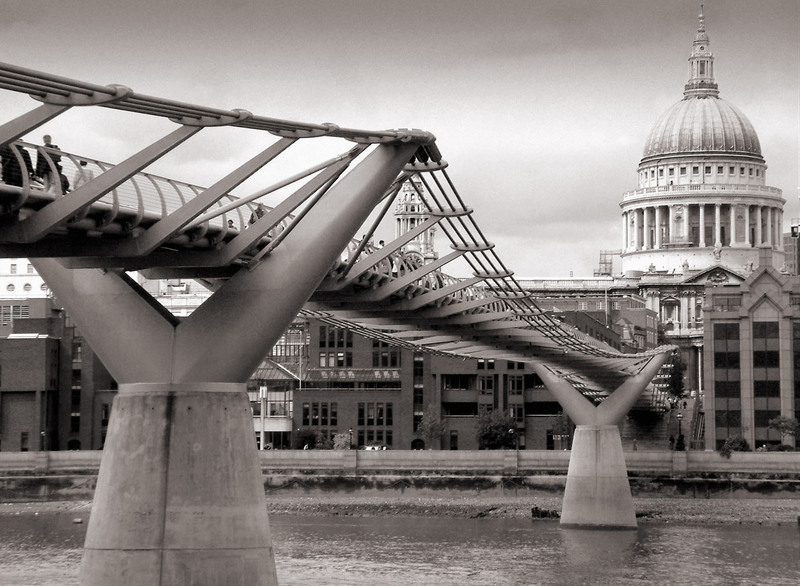 The 'wobbly bridge' links the Tate with St Pauls - you can pop across for a quick look round the outside (we don't recommend going in if you're pressed for time). But at Somerset House (quick visit to the Courtauld Galleries if you want) you should take a 1, 59, 68 or 171 bus from the sliproad to Waterloo Bridge (opposite the Tax office entrance to Somerset House) up to the British Museum (ask the driver, but get off near or before Russell Square). In the British Museum, visit the African, Egyptian and Babylonian galleries, the Great Court and the Reading Room as an absolute minimum. If you're not too museum'd out already then take a #14 bus from Centre Point (the intersection of Charing Cross & Tottenham Court Roads and Oxford Street) through the heart of London to South Kensington. You'll pass Piccadilly Circus, Piccadilly, Green Park Knightsbridge on the way. We think it's worth the diversion to pop into Harrod's in Knightsbridge (only the food halls are really worth seeing) on the way - and walk the rest of the way to the Victoria and Albert Museum - where you'll see the stunning British Galleries and the Cast Rooms (no time for anything else - it's a big, big place). If your fancy takes you you can see the Natural History Museum as well or at least pop your head in - it's free. A tunnel links all the museums to the South Kensington tube, from where, to save time, take the Circle line to Victoria and change to the Victoria line one stop south to Pimlico for the Tate Britain. You need a minimum of 45 minutes to appreciate the stunning new galleries. It's just a short walk round the riverside to Westminster Abbey and the Houses of Parliament - if a bus is passing you might want to hop on to save time. From Parliament Square (good photos of Big Ben and the Eye from halfway across Westminster Bridge, or if roadworks block the view from the riverside outside St Thomas' hospital) walk round the back of Whitehall to St James Park and up it's border, past Churchill's wartime bunker (worth popping in if you've time - you can 'do' it in 30 minutes if you sprint through!). You pass the back of 10, Downing Street and if you like you can walk through to Whitehall to see the front - heavily guarded because of terrorist threats. Whichever route you take you'll pass Horseguards - either through it from the parade ground at the rear or past the front door (see notes on changing of the guard above) - and continue up Whitehall to Trafalgar Square at the top. In front of you on the opposite side of the Square is the National Gallery. Don't hope to see it all - just wander through -old stuff is in the modern wing to the left, the classic, famous stuff is spread around the main galleries. We also recommend you pop into the Portrait Gallery next door - visit the Tudor gallery at the top and have a cup of Tea/Coffee in the restaurant at the top with good views. When you're refreshed go to Leicester Square to pick a ticket for a play. A quick saunter through Soho and Chinatown before your show - and a meal at one of the cheap eateries completes (either Chinatown proper, or the two roads at the south side of Leicester Square, especially Panton St) your day - apart from a night-time trip to floodlit St Paul's - if you've the energy and time we'd recommend you walk along the river eastwards as it's quite beautiful by night - and the Lloyds building (best seen from Hay's Galleria, next to London Bridge Station) is superbly lit in neon blue. See also Somerset House where the fountain displays occur on the hour - it's open to 23:00.